Happy Sunday!! 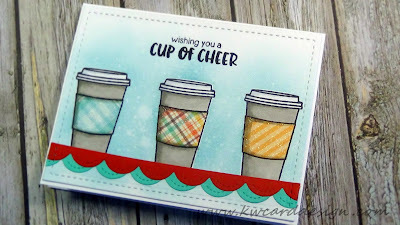 I took a little blogging break, but I am back to share a new card tutorial with all of you! Today, I wanted to play with Sunny Studio and their adorable set called Mug Hugs. I was wanted to play with this To-Go cup! It screamed to be paper pieced! So, that is what I did, I took a piece of water color card stock, and placed my card stock in my MISTI stamping tool, and inked up these cups, three times to make sure I got a crisp impression. Then, I made masks for all three cups using some full adhesive post it notes, and covered them up to prepare them for some ink blending. 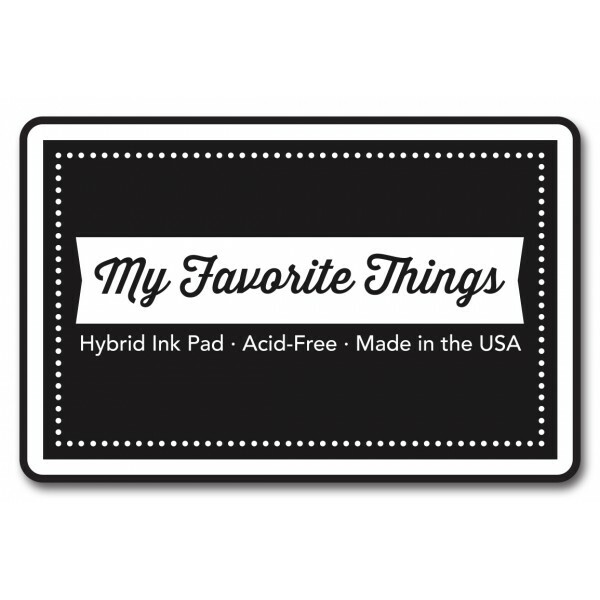 I wanted a soft back ground, so I used Tumbled Glass Distress Ink, and my Ink blending tool. Once I was happy with my background, I spritzed some water from my Distress Sprayer to create that fun distress look. 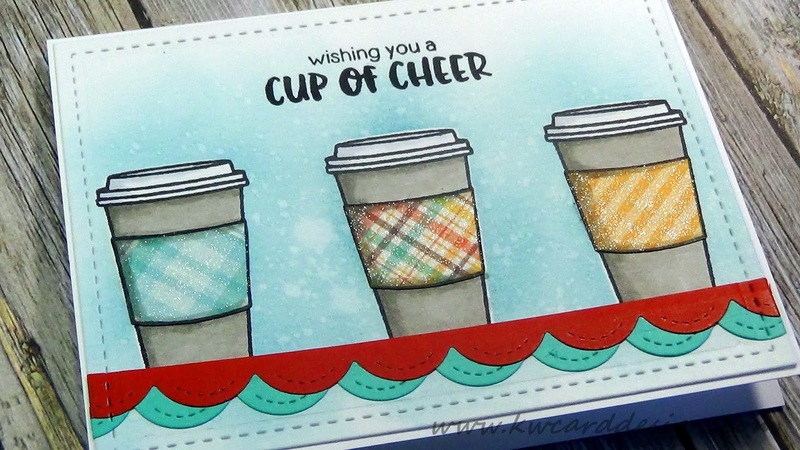 I chose three different pattern papers to paper piece my sleeves on my cup and all three patterns came from a different Lawn Fawn 6x6 paper pad. I did color in my cups with some gray markers and I gave them some shadows and also used a Cool Gray marker for the lid. I need to create some "grounding" for my cups, so I used one of the Stitched Scalloped Edge dies from Lawn Fawn, and I die cut some scrap card stock, and created this additional decorative element to my card design. My sentiment comes from the same stamp set, and I added some shimmer using my Wink of Stella pen for a final touch. The full video tutorial is below, if you like to see how this card came together! Thanks for stopping by today and have a nice rest of your weekend!